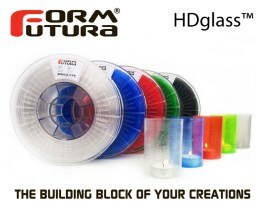 HDglass™ by FormFutura The new amorphous , high strength and ultra-transparent modified PETG compounded 3D printer filament range. HD stands for “Heavy Duty”, as HDglass™ has excellent properties when it comes to strength, toughness and temperature resistance for same like materials. 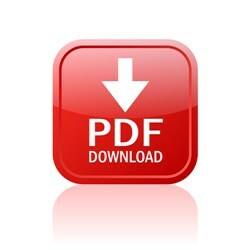 You will earn 33 loyalty points with this purchase worth £0.33 that you can use on this order. HDglass™ is available in a variety of vivid colours and prints best at a printing temperature range within 215°C and 240°C. Printing with HDglass™ is remarkable easy, as it is a very easy to process material and an excellent first layer adhesion can be obtained by printing at various undergrounds without needing a heated print bed. A good first layer adhesion can be obtained by printing among others on 3M Blue Tape, or BuildTak™.